Nothing more than two round “mouse” ears attached to a simple cap, the iconic mickey mouse ear hats are perhaps the most recognizable souvenir in the world. First worn by the tween mouseketeers on the 1950’s show, The Mickey Mouse Club, Mickey Mouse ears quickly became the top-selling souvenir at Walt Disney World– and remain the top seller to this day. 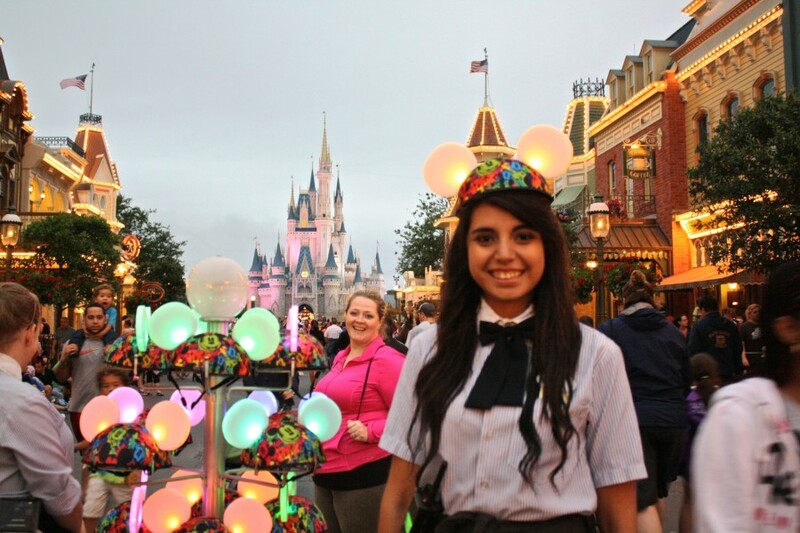 There is no question that Disney fans love their Mickey Mouse ears– walk into any Disney theme park and nearly every kid (and most adults) will be sporting the famous cap. Back home, Mouse Ears are worn as a badge of honor, both as proof of your love for Disney and to inspire envy in others. At least that’s what it was like in my elementary school, where students returning from their Magic Kingdom vacations would proudly wear their ears for a full week on return. I posted on Facebook and asked if anyone had mouse ear photos to share. It didn’t take long for the photos to pour in. 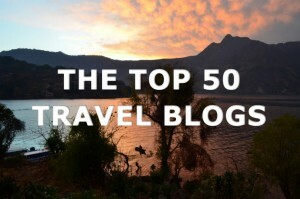 My favorite photos were these vintage snaps sent in by Emmy-award winning producer and fellow travel writer Lisa Lubin. 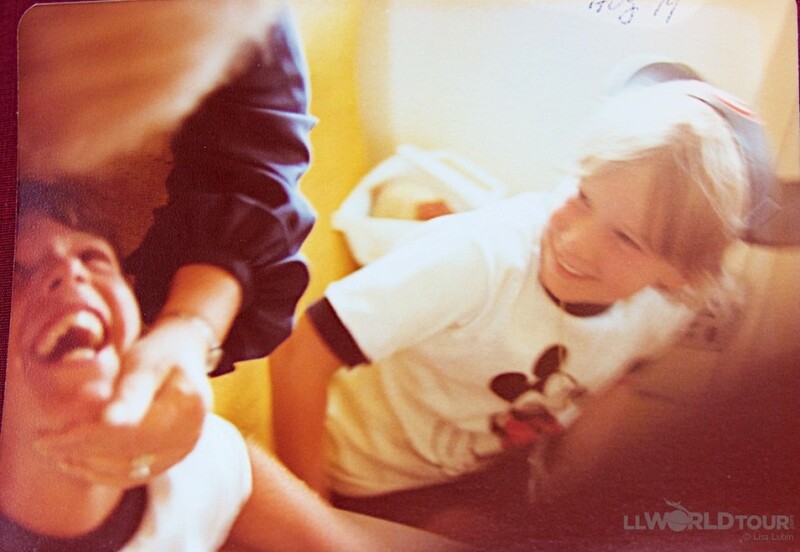 Circa 1979, these photos remind me of the pure joy of experiencing Disney as a child. Lisa (front center) and her family pose in their matching Disney regalia. 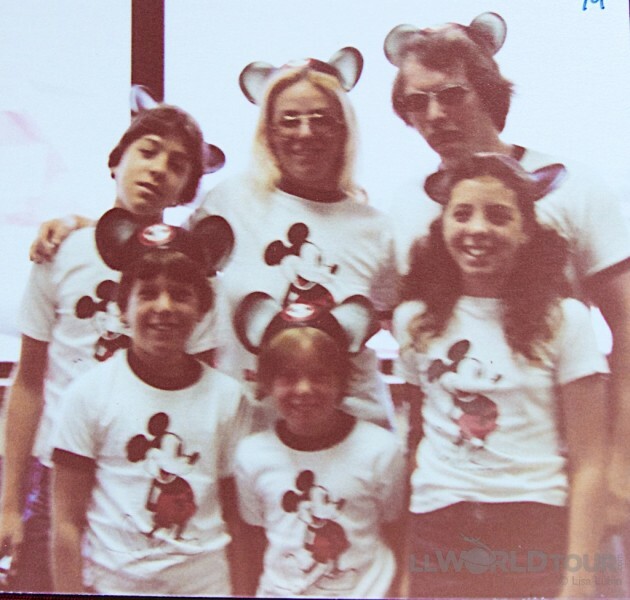 How adorable are those 70’s Mickey t-shirts? 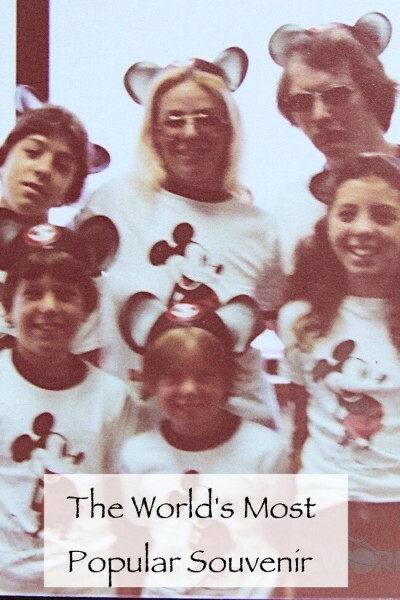 Here, Lisa and her brother wear their Mickey ears and tees on the plane ride home from Disney World. While you would think leaving the Magic Kingdom would be a somber occasion, that’s clearly not the case on this flight home. This photo perfectly captures the delight of the children on learning their Florida grandparents would not be staying behind, but instead would be joining them on the flight home. Today, Mickey Mouse ears have evolved well beyond the simple black cap. New versions attach ears to everything from wizard hats to graduation caps to Star Wars helmets. You’ll find ears covered in fur or glitter, as well as ears that light up and make sounds. 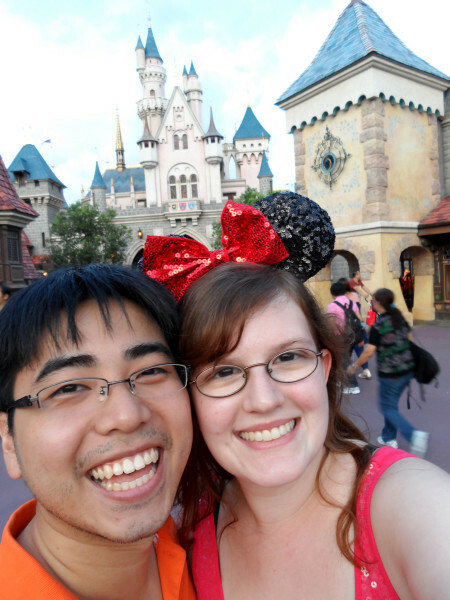 In fact, of all the newer photos I received, not one featured the original Mickey Mouse ears. Cal strikes a pose with his mouse ears/wizard hat. Arisa, Aeris and Ariel look extra adorable in their Mickey ears. Thanks to Ed for rounding them up for the photo! According to Disney fan Beth Williams, Mickey Ears are even more popular at Disney parks in Asia than at the original Orlando location. Beth reports that at Tokyo Disney wearing Mickey ears is the bare minimum for any park goer, as practically everyone dresses up like crazy. Southern belle Ashley sports a colorful take on mouse ears. Sally Ann shows off her ears at WDW. Glam girl Aisling models her sparkly Mouse ears. On your visit to any Disney theme park in the United States or around the world, you will find plenty of classic Mickey Ears and newfangled styles to choose from. Photographer and Disney expert Kristin Mankosa took some Mickey Mouse ear photos for us in the shops at Orlando’s Walt Disney World. Walls and walls of Mickey Mouse Ear Hats of every style. 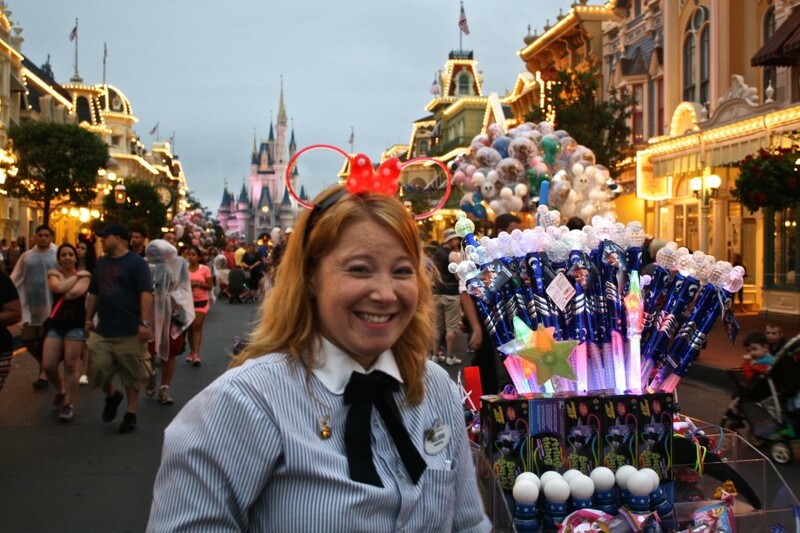 You can even shop for unique Mouse Ears– like these light up ones– on the “streets” of Disney. Love this R2-D2 mouse ear hat. WDW, Orlando. Mickey ears on a stormtrooper helmet. Walt Disney World, Orlando. Star Wars fans (isn’t everyone?) will love these R2D2 and Darth Vadar Mickey Ears. Worried a Mickey cap will muss your hair? These Mickey Mouse ear headbands will prevent that dreaded cap head. Worried it’s too chilly to wear your Mickey Mouse ears? The wooly cap with mouse ears is the perfect solution. 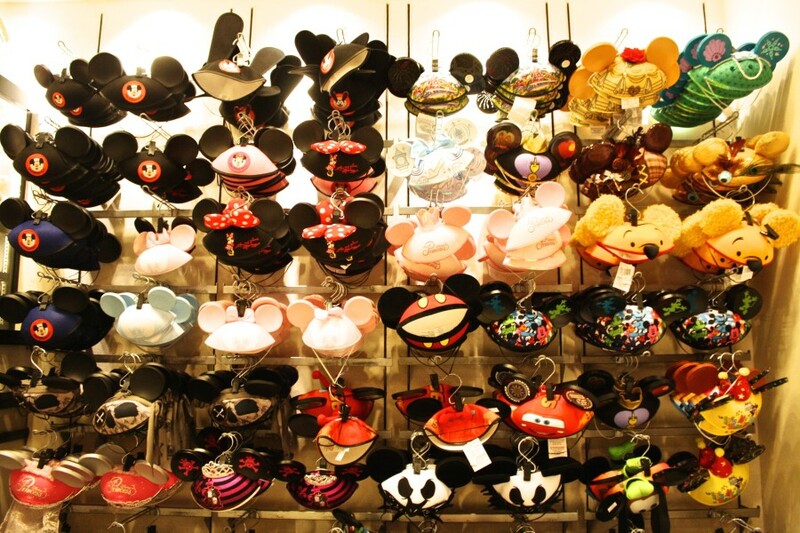 Do you own Mickey Mouse ears? Share your favorite mouse cap in the comments! Thanks to Guest Contributor (and Disney Expert) Kristen Mankosa for snapping these Disney mouse ear photos at Walt Disney World in Orlando, Florida. 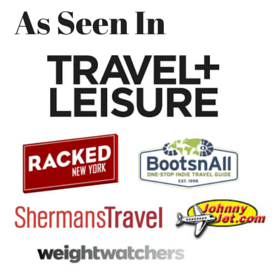 A special thank you for the Mickey Mouse Ears photos to Beth Williams of Travels in Translation, Lisa Lubin (look for her awesome book on travel trips at LL World Tour), Ashley of A Southern Gypsy, Aisling, Molly and Cal, Sally Ann, Ed & adorable daughters Aeris, Ariel and Arisa.